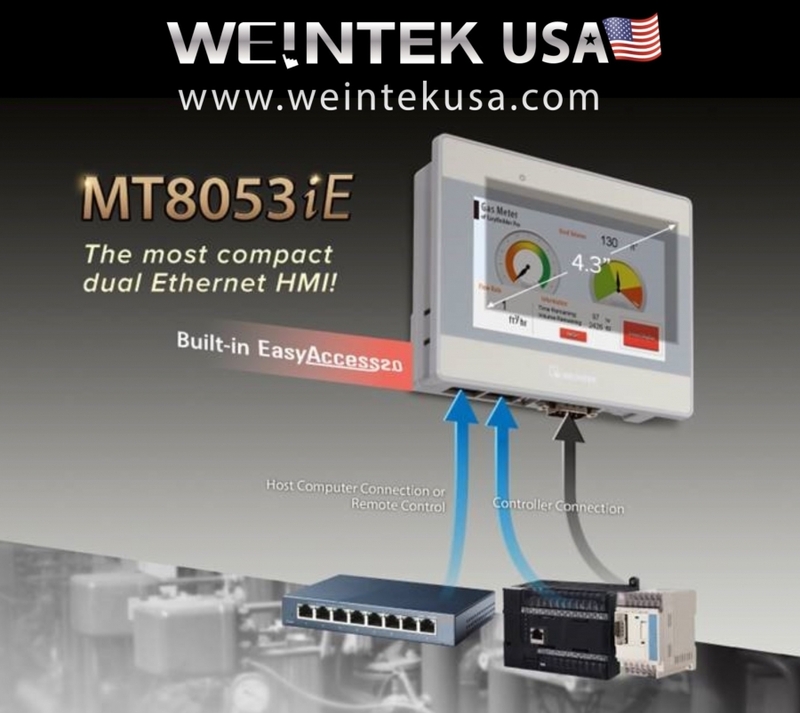 Dual-Ethernet-port ensures that MT8053iE can be on two independent networks, whereby one port connects to the controller, and the other one connects to the host computer or is used for remote control (e.g. : built-in EasyAccess 2.0). Not only will the separation of networks effectively avoid the possibility of network interference and congestion, but it will also greatly improve the reliability and stability of data transfer, leaving out security concerns. Supports MQTT and MODBUS TCP/IP Gateway, making it convenient to access data for upper layer devices.